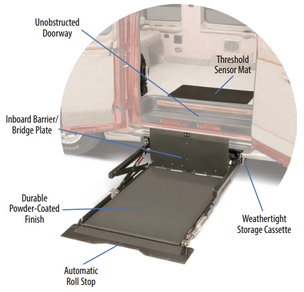 The BraunAbility Under Vehicle Lift, or UVL®, is installed to store underneath the vehicle, so it remains out of sight until operated. 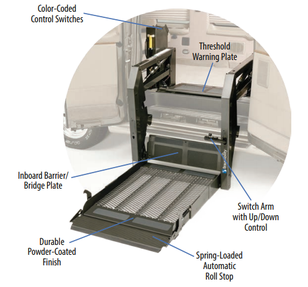 The BraunAbility Millennium Series wheelchair lift promises strong and secure accessibility with time-tested durability. 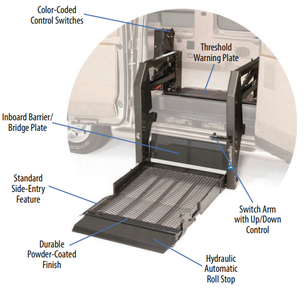 The BraunAbility Century Series wheelchair lift is a simplified and streamlined wheelchair lift option that can be installed on the rear or side of a vehicle.